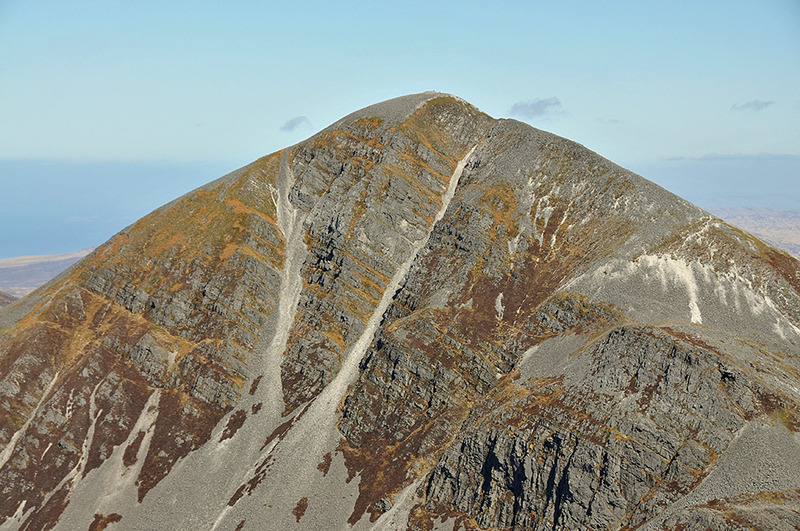 The dramatic western side of Beinn an Oir, the highest of the three Paps of Jura. The view is from near the summit of Beinn a’Chaolais. Taken during the Jura day of the Islay walking week 2013. This entry was posted in Jura Excursion, Landscape, New Post, Sunny Weather and tagged Beinn a'Chaolais, Beinn an Oir, Jura, Paps of Jura by Armin Grewe. Bookmark the permalink.